A man accused of preparing acts of terrorism got "specific training" to make explosives, a court has heard. Prosecutors claim Khalid Ali, 28, went to Afghanistan in 2011 and joined the Taliban. A witness, known as Soldier A, told the court he thought Mr Ali was "knowledgeable" in making explosives. 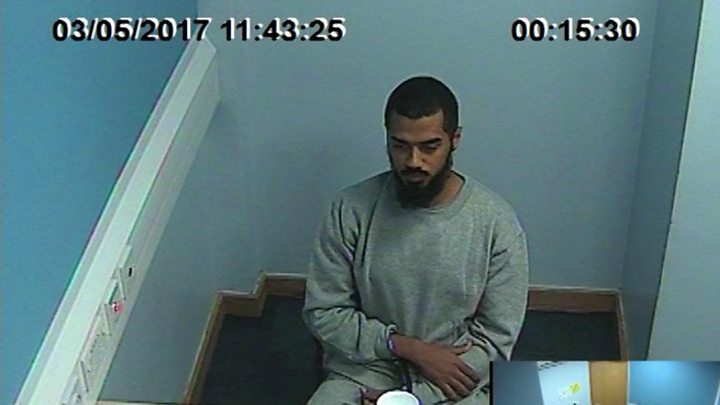 The accused was arrested in Westminster in April 2017, where the court heard three knives were found on his person. Mr Ali - who is being tried at the Old Bailey in London - denies the charges. He is accused of preparing an act of terrorism in the UK, and two counts of possessing an explosive substance with intent - relating to material found in Afghanistan. Prosecutors claimed Mr Ali's fingerprints were found on component parts of explosive devices that were handed into US forces in Afghanistan in 2012. In a police interview shown to the jury, Mr Ali - from Edmonton in north London - said he had "a bit of sufficient knowledge" about bomb making, and went into detail about the chemicals that went into an explosive. On Thursday the court was shown an interview with Mr Ali, conducted by police last year. In it he says he detonated more than 300 bombs in Afghanistan. When asked if the bombs killed anyone, he said: "I will remain silent." Soldier A, who is a serving British soldier, reviewed the accused's police interview. He said: "Ali is sufficient and knowledgeable in the manufacture and use of explosives. "The level of knowledge he displayed strongly suggests that he had a practical knowledge and specific training of the manufacture and use of IEDs. "I think it is unlikely that this level of knowledge could have been gleaned from peripheral cursory observation." 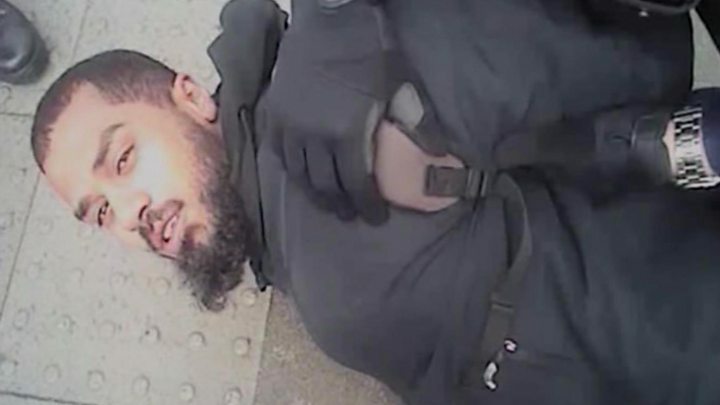 The court has previously seen close-up video footage of Mr Ali, a plumber, being arrested in Parliament Street by heavily armed officers. Three new Sabatier knives were removed from his pockets and waistband. The court heard Mr Ali arrived in the UK in November 2016, less than six months before his arrest.